Win a HP "Better Together" Back to School Bundle: Netbook, Notebook and Backpack! 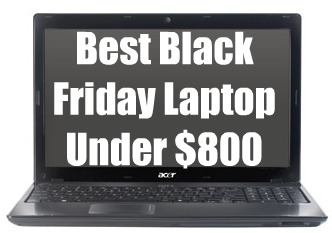 Looking for a netbook or notebook? Well, here’s your chance to win one of each. Read on for your chance to win a powerful multimedia notebook, a netbook for when you want to travel light and a custom backpack. 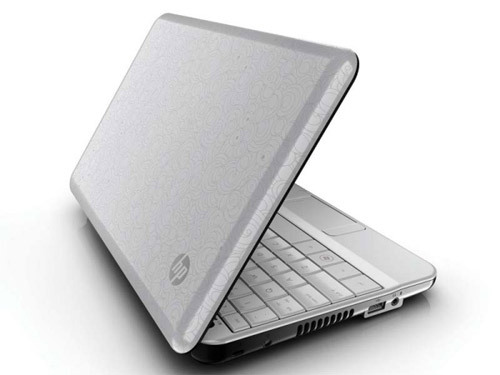 HP’s given Notebooks.com and 24 other sites some great gear to pass on to our readers. 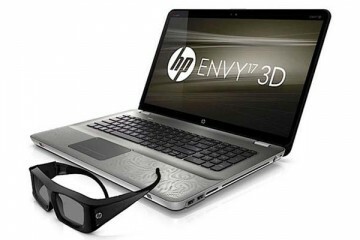 The notebook is a fully loaded HP Pavilion dv6 that’s powerful enough to use as an entertainment or gaming PC. The netbook is an HP Mini 110. The backpack is made by Timbuk2. All versions of the dv6 come with a 16″ display, Altec Lansing speaakers and an HDMI port, but the one we’re giving away this isn’t just any dv6. With a value of about $1,600, you won’t find a machine like this sitting at your local discount retailer. This custom dv6 comes with premium options including the optional moonlight white finish, 500GB hard drive, Blu-ray Disc drive and ATI Mobility Radeon HD4650 graphics with 1GB of VRAM. Its Intel Core 2 Duo P7350 2.0GHz processor is more than fast enough for most users. 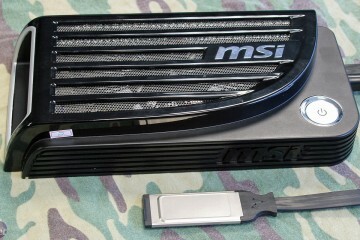 It runs Windows Vista Ultimate 64-bit, which means it takes full advantage of the system’s 4GB of RAM. But enough about the dv6’s specs. HP sent over an evaluation unit for long term review and I’ve had a chance to use it for a couple of weeks. It plays back Blu-ray discs flawlessly, even while multitasking. I tried playing back gameplay on Call of Duty: World at War and was impressed with the smooth experience. The dv6 is powerful, but it can be a pain to lug around a 16″ notebook around campus all day. When you need something more portable and with a longer battery life the Mini 110 XP Edition can come in handy. Its antiglare display is easier to read under direct light than glossy displays. The six-cell battery makes the netbook heavier than the standard three-cell battery, but the tradeoff is worth it since the larger battery keeps the Mini 110 going for about 5.5 hours on a single charge. If you win the netbook and notebook you’ll need a way to transport the pair. That’s where the Timbuk2 Swig backpack comes into play. Timbuk2’s bags are built of high-quality materials and are anything but boring. I’m trying out one of Timbuk2’s backpacks and it’s very comfortable and has more than enough room for a pair of computers, a few books and accessories. This is a raffle style giveaway and we’ll be pulling a random winner using random.org on August 24. You can enter one raffle entry for completing items 1-4 below. If you’d like to dramatically increase your odds of winning you can try your hand at writing guest how-to articles. 1) Earn one raffle entry by subscribing to the Notebooks.com Giveaways email newsletter. We get a lot of gear to giveaway and we’ll notify you next time we run a contest (hint, it kicks off later this month). 3) Earn one raffle entry for following me on Twitter and saying hi- just send me a message @xavierlanier. 4) Earn one entry by telling us why you want this bundle and what you would do with it in the comments section below. 5) Write how-to articles for notebooks.com that can help our readers as they use or shop for computers. If we publish it you’ll earn 5 raffle entries. You may submit as many how-to articles as you like, though we may or may not publish all of them depending on content and quality. • Tell our readers how to get more our of their notebooks. Do you have tricks on how to use common applications? Can you explain how notebook users can be more productive or get things done faster? • Entries should be free of grammar and spelling errors. • Use screenshots, video or images to illustrate your how-to article. • Explain your idea thoroughly and be sure to keep average users (not geeks) in mind. • Here’s an example of a tip on how to upgrade an HP Mini’s memory that’s helped a lot of our readers. • Entries must be original and not be previously published elsewhere. Thank you for visiting Notebooks.com and we look forward to your entries. • This contest open to anyone in the world, but if the winner is outside of the U.S., he/she may be awarded a credit to HP’s online store to avoid shipping and customs restrictions. • Individuals who have won at another website participating in the HP Back to School Giveaway are ineligible to win a second time. • All entries must be received by 8/23/09 by 11:59pm Pacific Standard Time. • The odds of winning depends on the number of entires received by the deadline stated above. • By submitting content to this contest, you agree to allow Notebooks.com Inc. to publish it on its Web sites in part or in whole. We may edit your content for clarity or any other reason. • No complaining allowed…seriously. We appreciate everyone’s entries and try to keep things fun around here. Unfortunately, not everyone will be able to win as we only have one bundle to give away. If you don’t win this bundle, please enter to win bundles from the 24 other great sites that are participating in this promo. • The winner will be notified by email and his/her name will be posted in a Notebooks.com announcement. If the winner is picked based on an entry from Twitter, we will send a direct message and/or @ reply to the winner as notification. If the winner doesn’t respond within 24 hours of us sending the notification we will pick an alternate winner. I would love to win this bundle to help with blogging on the go! Thanks for running the contest. I would love to win this bundle to help with all my skool work.and make things easy for me,i cant even afford one :(.. Please let me win this!! I’d give the netbook to my 6 year old daughter and finally be able to get rid of my ancient box computer I built years ago. I’d use it to catalogue all my photos and reports of archaeological digs I’ve done. Yes, I really am that sad! I would find this bundle extreamly usefull when I start studying for my MPhil in september It would let me work whereever I am. I’d really love to win this prize so I can further my efforts to achieve world peace. I’d give the notebook to my kid (he’s a college senior. His laptop puked last spring.) I’d keep the other for myself so hubby and I quit ‘fighting’ over the home computer! I would love this bundle, as my little sis has been pestering me to get her a laptop, but a netbook would be even better for her. Thanks for the chance to win! I’d use this bundle for my endless treks to and from campus while completing my dissertation! My son and I are attending college together, majoring in computer science technologies. Since both computers can handle all the software for our classes, we’d be able to grab the one that works best for the class, then sync them later to ensure they both have all our notes. (This semester, we don’t have classes in common; next semester we might!) At this point, we’re hardware-short, since his Nokia 810 and Toshiba notebook have both gone south at the same time, and money-short since I found out I have narcolepsy by dozing off and totalling my car on a tree. (so much for tear-jerking, sorry!) Anyway, it would be great to be able to share the hardware and work together through this degree! I would love this bundle, I start uni next month and Iv just been told my Laptop needs a new motherboard :/ which I can no way afford or to buy a new one, which I cant afford either :(. Fingers crossed! Also, the notebooks.com giveaway form box is causing me trouble. It sends me to a page that says, “Whoops! That page isn’t here.” Is that normal, or should I sign up for the giveaway newsletter in another way? We’ve fixed the email form. Sorry for the confusion. Please try again. This bundle would help me alot. My laptop, which was given to me by a friend, just died about two weeks ago. College is starting tomorrow, and I’ve been trying to figure out what is wrong with it. I won’t be able to buy a laptop, and right now it looks like I’ll have to make do without a laptop. Would love to win one of the notebooks, headed back to school shortly. I would love to win a notebook, because I am a blogger and my notebook is falling apart…I can not afford a new notebook right now!! These would be great so I don’t have to buy one when i get my own place. I would love to win a notebook, because i won’t to write my blogs every were. I am a frequently visitor in the hospital so then i can write also there. I would really love to win this bundle because I start high school in about two weeks. To put it frankly, my computer runs like a bag of bones. It would be great for working on assignments & projects on the go, unlike the desktop computer I have now. It’s full of constant problems but we cant afford to get a new one at the moment. Also, my best friend and I are starting up this Youtube channel and with the built in webcams we can take them on the go and record whatever we’re doing. It would also make it easier to piece together clips, edit them, and post them to the account. I’m heading back to school this Fall after a looong hiatus to attempt to finally complete my undergraduate degree. This package will go a ways in helping achieve that goal. Sure would be a cool prize to win. BTW, I also found your Giveaway subscription link to lead to a missing page. I want to win, because I love free stuff. My children could use a netbook for school. I would use the laptop for my wife to replace her ancient PC, and the netbook would go for the kids to share for homework! if finally Luck decide to meet me (after all this years, ), i would have the possibility to (finally ..too) help my young brother by giving the hp dv6, is in college and that old familly pentium 3 is driving him nuts, i would take the mini!!thanks ! I’m about to take off to a 6-months trip around the world really soon. The HP mini110 would be great for that, with it I’ll be able to keep in touch with my friends and family more often. 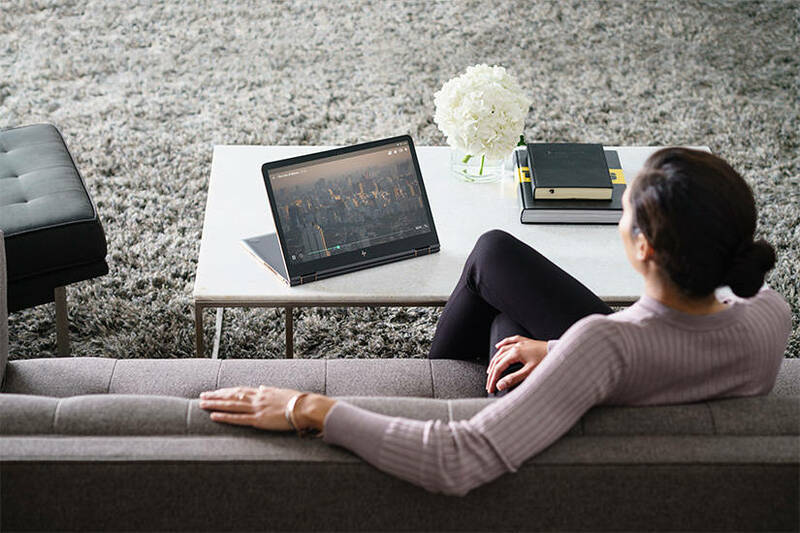 I want this bundle to replace my two-year-old HP Pavilion, which has a faulty processor that HP won’t repair (call it poetic justice if I win). I’m also going back to school and need a reliable set of computers. My wife’s mac broke this week, so she also needs a computer to continue doing her designs. I just transferred to a new university and will need a new laptop for all of the lab reports, essays, molecular modeling and computational chemistry. I’d love to win this bundle to do software development. BTW, the email newsletter signup doesn’t seem to be working. I would love to win this bundle, then the kids could fight over who had what from that, instead of fighting over my computer. By the way, I tried to register my email address above, and was sent to a page that said – WHOOPS ! Is there a glitch in the system? I would like to win this bundle because my laptop is broken. I would love to win this bundle because it would be really useful getting started as a photographer. I studied photojournalism in college and now am trying to make it in the real world. The Netbook would be perfect for taking on shoots and using software like CaptureOne to write files onto the netbook as i shoot them! Then I can take the files home and transfer them to the notebook and work on them in post. The Sync software included would also be a great help for this! I would love to win the notebook/netbook combo to aid in my on-the-go studies and blogging. I commute to school so the netbook would be ideal for study sessions in the library, but I need the computer power of a full-fledged laptop to get work done at home. Best of both worlds! Winning this bundle would be great because my current netbook’s screen just cracked and I don’t have the capital to replace it just yet. Having a laptop to sync that netbook to would be an added perk! I would like to win this bundle so I can use it while doing research in the field. My research involves doing a lot of surveys of the public, so the netbook would give me something portable where I can “write” down their responses. Then when I get back home the notebook would give me something powerful to do statistical work on and maybe play an occasional game. Thanks for the chance to win! I would LOVE to win this bundle, for the simple reason that a laptop would make university much easier, I would no longer have to search for spare computers in the labs! Winning this would be great because my old laptop (from Lidl) is grindingly slow and can’t handle the CAD Program that I’m trying to learn. The netbook would be great to keep in touch when I’m travelling, and the kids get the old box to play with! Everyones a winner! I’d love to replace my current aging laptop with the notebook and give the netbook to a relative. I would love to win this bundle for my first year at college. I want to win because my old toshiba laptop only gets 45 mins of battery life and next year that will slow me down; the netbook has more ram and hard drive space. I would use the laptop in my dorm and use the netbook for class and in the library. I would love to replace my old laptop which has buttons missing, I would use it for my college course and keeping in touch with friends from another part of the country. Business no matter where I try to escape…oh joy. At least I can finish my degree on the go too though…right? I would love the bundle because, im a struggling college student and i have 3 online classes that i do at my pc all day and i desperately need a laptop of my own so i can use it wherever i go instead of sitting at a desk all day. I’d love the netbook and the backpack to ride into work every day. The Big laptop might be a little bit heavy with all the books I have, so that would stay at home where my wife could use it when she’s tutoring kids in our home. Its nice big screen would come in handy for that. I want a laptop of my own,always wanted one,for my uni work,everyone has one,except me:(..if i get 2 (bundle)then i would love to give one to my brother,(his one is also broken)and give the backpack to my sister for her school..I would share it in my family and make everyone happy. If I were to win this amazing prize, I’d give it to my husband. He is using an OLD machine and could really use a new one. He works, goes to school and takes care of things at home … I think he deserves something new. I’ve completed steps 1-4. Thanks, again! This is a fab prize! My daughter would love this to go back to school with. It would really help her out. Well for one thing, I wont be keeping this bundle for myself! I will give the HP dv6 to my elder brother because his old laptop conked off and he just has his office laptop to work on. Unfortunately it is completely locked down and he cannot do anything else except official work stuff. The HP Mini I will gift to my mom n dad (let them work out the sharing strategy!! 😛 ), my dad is a regular user of his PC thanks to his work, but my mom is fairly new to the world of computing and believe me, you should see her expression when she calls me up to tell me how she found this great lip-smacking recipe online, or how she finally managed to upload pics on Facebook!! I’m a recent high school graduate and will be starting college, and being able to work fom more places than my desk at home is nearly a requirement. I also enjoy photography, and my current desktop is showing its age while running Adobe Photoshop Lightroom 2 – the UI lags a bit, and exports take quite a while. This would be a great win for me… the laptop that I have right now is ancient and the battery is shot… so I am tied to a plug at all times and my arm aches every time I have to lug it anywhere due to its overall weight. I’d love to win a HP notebook. I would you it for school, and for social media. And read notebooks.com of course! I’m starting a PhD so could really do with this bundle. I can use the notebook for my research and report writing, whilst the netbook would come in handy to take with me when I go out ‘in the field’ to gather data. Sadly, as a student I have no money to buy either myself! I’d use the bundle to start mobile blogging, and to send my kids back to school. To enter my sweepstakes of course! I am a 40 year old college student with a 5 year old PC that I share with 4 other people at home. I desperately need this bundle!! I also work full time and run my own blog so it would be a blessing from Heaven and from Notebooks.com. I’d take notes … I was going to buy a netbook this summer anyway! Two laptops are better than one, and free sure beats not free any day! I would love to win this bundle for my daughter! She is a senior this year and deserves something extra special! I could use this bundle because our desktop just died and our laptop is ARCHAIC. I would like to win because when I go to college I would like to have a nice laptop that I can depend on for work and have fun. I’d really love this bundle. My current laptop is nearly 6 years old and on its last legs. I like to win this prize pack for myself and my husband & my son. I have a computer right now, but my husband and son are dying to have one. My son will be in highschool (10th grade) so I beleive he could really benefit in having the little one and the hubby has a horribly old and not so good computer…I think he’d do great to have a better one. I’d definitely use it for blogging, research and homework for school and definitely emailing friends and PR companies!!!! Thanks too for the giveaway; it’s amazing!!!!!!!! I would like this bundle because my home PC is incredibly old and dying. I’ve had it since 2001 and it crawls. I could really use something newer, but have no funds. My desktop just died too unexpectedly. This bundle would be perfect for me since Im going to college in the fall (August 31). Im taking several computer classes so having a laptop would be very handy. I would love to win this so I can donate the gear to the local school here to help them out. Subscribed to email list and twittered. I would absolutely love to win one of these bundles. I have never owned a Laptop or Netbook before. Oh, I can tell you exactly why this would help. My daughter is a college student. Her computer died. I have no money to buy her a new one. So I would give her the big laptop, and keep the netbook for traveling. It would help her out so much, and I feel bad that we can’t do more for her. I’ll probably just use them for work and travel. There will be only one winner! Good Luck! I fell like I have won. I just brought a HP3009m Desktop Computer! Be nice to have a Laptop, so I would be able to use on the Go! I want this bundle, because I’m tried of fighting my siblings and my parents for the computer. I would like to have one of my own to use. Though, I did have one once, but it died on me, and I currently don’t have a job, so I have no money to buy a new computer. I want to win this so I can pass on the laptop that i’m using right now. I’m tired of having to fight with the “g” key and the mouse and the slowness of this thing. 512 mb of ram yuck. I need faster (zoom zoom!!!!!) I would use it to remain portable (with speed) and for blogging and everything else I use the computer for. I would love to win this prize to help with college, blogging, photography, and applying to Graduate School. i would love the laptop bundle. just to be able to take it with me anywhere, would be such a great help to me. i’ve never owned & i love the mobility factor. With two kids in college this sure would be a great prize to win! Thanks for the chance! The mobility factor would allow me to work on the go. Right now I’m tied to my old desktop. I would use this notebook to keep me organized with my bills, and photos. I could keep up to date on the news, and take an online class. I’d be giving it to my flight attendant sister so that she can have a small notebook to use during layovers. it would be great to have the laptop to play games, to blog and for educational purposes. I’d love this bundle because I have been dying to upgrade to Blu-ray. If I win, I’ll buy LOTR ROTK in bluray and enjoy my favorite movie in high definition! My daughter is getting to ‘that age’ so we need to get her her own (or my old one) stat! The laptops will help me manage my information and entertainment in and out of school. I attend classes at two different colleges, a community and a university. I can’t be bearing down on my back with an outdated 13 inch cumbersome laptop. The Mini will allow me information organization while at school or otherwise and the dv6 will become my entertainment powerhouse able to work on my design projects for the hopitals I’ve begun to volunteer at. This would be a great bundle for my daughter to use for school to replace her antiquated, hand me down laptop. My son is a college student. If I won, I’d give this wonderful notebook to him to help with his courses. I would love to win this bundle because right now I only have a desktop PC and being able to sit elsewhere and check email, etc. would be awesome. I would also love to give the mini to my daughter who as she gets older needs to use my desktop PC more and more for school work. What a great bundle from HP! We could use these for both work and college. Having two kids in college, this would be a dream come true. I’d like to win this bundle because I’m starting college soon and I would really like a laptop for class. My desktop is on the brink of annialation at the moment (only a few months left). I would use the mini at university for school work and taking notes during lectures. The dv6 would be perfect for home use. It would replace my old desktop as it is more powerful and also wouldn’t take as much space. The laptop would also be great for entertainment as it has hdmi out and bluray. I might also be able to play newest games on it aswell :D.
I would love to win this because my sister and I really need a new computer- my laptop is slower than slow (even after re-formatting) and we need computers for our schoolwork. Thanks! I don’t have a laptop. Gave it to my mom. I teach virtual online classes. Each 3 weeks, however, I need to travel out of state for chemotherapy. I need a portable advice during that time so that I can monitor my classes. I’d like to win this bundle because it would be good to renew some of my old computers. I’d love to win this because our desktop just bit the big one. I’m hoping to replace it with something more versatile anyway but as I have it budgeted right now, it won’t be until mid-2010 that I could do such a thing. As for the netbook, I’d likely make that our kids’ computer for their online games. Especially great as it could travel with us. I would love to win this, because our home computers are getting old and outdated. It would be great to have one worthy of the cable internet that we pay for. I would give one of the notebooks to my son, who would think that I was the greatest mother in the world and keep one as a family computer. I would love to win this bundle to help my nephew when he starts college this fall. I could really use a replacement. I have been lugging my Gateway around for 3 years. Winning TWO computers? Is this a great country or what? I’d like to win these small ‘puters because my 2004 Dell Dimension 8400 is much too big and heavy to lug to Starbucks. I’d use the new ones to assist in my video business. Would be really handy, means I can use it to take notes rather than scribbling onto scraps of paper. I would love to win this bundle so I can give my current laptop to my parents and teach them to use it and keep in touch. Amazing prizes!!! Our household could absolutely use these!!!! If I won I’d be able to not use my current laptop that is old, can’t charge the battery and harddrive keeps spinning for ages. I use mine to look for new work. We’ve got our old school laptop outnumbered to 2 adults and 5 kids to share. The Back to School: Better Together Giveaway would really give us a chance to do homework,projects, blogging, uploading pics, etc more efficiently and effortlessly. The notebook would be great for home and general use, since my main computer (a notebook) just had a hardware failure that’s not worth fixing, so I need a new computer and cannot afford one. I’m a sysadmin and the netbook would be great for traveling and datacenter use for managing servers and whatnot. My wife could definitely use a new computer, and my kids’ small hands are perfectly suited for the Mini 110! I’m currently unemployed and these would be great to help me with my job search. Our library has high speed internet to which I could connect wirelessly with the laptop., And the netbook would be great to bring along for interviews – to make notes on. Linux runs very well on HP hardware, so I could actually make use of the bundle. I’d love to win this, I would use it at work and at home, would be a total entertainment package and would make me more productive. Thanks for giving it away! My [4- and 7- year old] sons would get the computers so that they could advance their math, reading, astronomy, music, and programming skills. I’m a student and my poor old laptop’s battery is dying and it’s breaking apart at the hinges. I can’t afford to replace it just now, so winning this would be wonderful. My 16 year old really wants this because her dad has one, and her brother has one because he’s in college. So wherever they go, the two guys have computers and she’s the odd man out. I’d love to win this laptop because all I have is a old desktop, and currently am attending college. 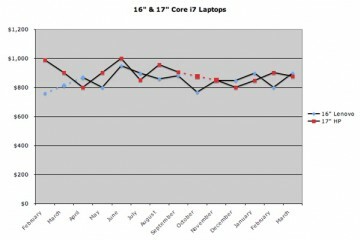 And the netbook has better specs than my old desktop. I’d love to win this laptop since then I could give it to my husband as an anniversary gift. I am always hogging our old lenovo laptop and this way he could have his own. This bundle would be very helpful for writing on the go. I would like to have this bundle so I can be in touch with my parents(out of country)all the time. We will be able to tell each other recent happenings and “what’s going in our lives” more often than on the telephone. I would love to win this to give to my son so he can keep in touch with all his friends. I would want it as I need a new laptop and it would come in handy for uni. Who wouldn’t want something for free! I would definitely put it to good use. My computer (14 inch notebook) is old and needs to be replace. The dv6 would be perfect and I could take the mini when I need to be mobile. My 13 year old daughter has spent her summer working on her novel. Her laptop is slowly dying and she will need a new one soon. I can’t read her novel until she finishes it. I would love to win this so I would have one to take with me to keep in contact with my sons and their father when at our youngest sons diabetes clinics and testing. It would be nice to be able to come into the 21st century finally and keep up with my boys and life. A desk top is great, but these days you really need to be mobile and have a way to be online while out and about. Wow! What a nice bundle. This would be great as I do some traveling, when I get to security I am always fumbling. The netbook and the backpack would would be a great help in this situation. Then when I get back home again I’d have the notebook to ease the eyesight. Thanks for this opportunity. I would be keeping only one of the laptops. I would be giving the other items to a child in need. He has a promising future due to his intellect but doesn’t have the money for a laptop. He needs it for school and I would love to give one of these to him. If I could afford it, I would buy him one myself. I bought a laptop about five years ago and paid a huge sum of money (for me) for it; it kicked the bucket less than 2 years later…the repair would’ve cost more than buying a new one. My desktop is in the basement of our house and I am a writer; I know my family misses me. Winning this bundle would do wonders for all four of us, because I wouldn’t have to go into hiding all the time, just to be on the computer! I would have one myself, and one for my girl (she would get first pick) to use during studies, we don’t have a notebook of any kind and it would make studying easier if we were able to study on the go. Hi I want this because I don’t have a computer of my own, I have to use my sisters. And having a laptop for the upcoming school year would be awesome, especially since I’m transferring to a school with lots of hot spots. Wow..this is a nice bundle.. It will really help me as a graphics artist because my laptop has just broken down a few weeks ago. The mini laptop will be given to my sister who will go to college this school year…I hope I will win this contest.. This looks like a great package! I’m in grad school, getting my master’s degree in information and library science this would really help me stay organized! I would love to win this laptop for my daughter who is going off to college this year. If I were to win this nifty bundle (and did not get too attached to it myself :P), I would like to give it to my friend, whos desktop and laptop computers both only give her trouble. Both of us are college students with a need for reliable computers. I would love to win this bundle so my daughter would have a laptop for school and I could keep the mini to stay up-to-date with all the great blogs I follow. Thanks for hosting such a great giveaway! My brother just started high school and he desperately needs a laptop for school. I would love to be able to provide it for him. I just graduated from college and starting out on my own. I really need a computer for on the go jobs. i would love to win the bundle becouse my computer just broke! Hi, getting hp laptop have always facinated me , all the way. Never got any of them, BUt i would definately wanna win this stuff, I m a college student and a programmer + i also do creative direction for small movies and art films, college level video only, but still. 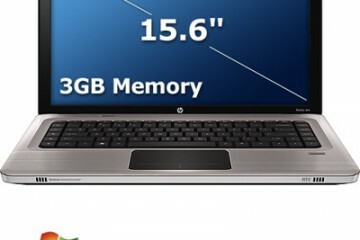 I require a Good pc , this laptop would definately do that, But more better than that is Hp mini accompanying it , because i need laptops on the go more than i need at home, being college student, i require It every where in labs, classes, other places, and as programmer and video maker i need that for working on go. Getting this bundle would be amazing. As a one of three university students in our family of 8, We don’t throw around significant sums of money at whim. Money is tight and times are hard…we all know that. This would allow me to replace the dying craptop I have right now, and would provide a computer for another student. We do like to network what computers we do have sometimes. My brothers and I play games together sometimes. Winning means that this happens more easily and more often. I would love to win this bundle because my husband needs a laptop for work and my son who is going off to college needs a laptop. I guess you know who will be getting these great prizes! I wonder if they will let me have the backpack lol. I am dying for one of these netbooks!! My frequent trips would be made so much easier and fun being able to keep up with email etc. Both my desktop and my laptop computers are getting pretty old. I’d like to win these computers to leap into a more modern age of computing and to be able to travel with a truly lightweight portable netbook. My grandson has been pleading for a new computer for schoolwork, so this would be a wonderful surprise for him. I would love to win this bundle – so I can stop the kids fighting over the old P3-550. Plus in the (Southern Hemisphere) summer holidays, they will be invaluable for travelling around the country: storing & editing photos, staying in contact with the family back home. Simple: 4 teenagers in the house with only 2 desktop computers — HELP! I would like to have a new start with college. HP DV6 for working, processing jobs, etc. , the HP mini to take notes while listen to the prof. I definitely need this bundle because, for the last 2 months I have been forced to use other peoples computers. yes you heard right. This is due to the fact that my last 2 laptops were stolen in one month! You should feel sorry for me and help me out here haha! I would use this bundle to complete university work anddd download outrageous things. I’d give these computers to my parents, who desperately need new gear. This is such an awesome bundle for anyone to win. HOWEVER, I would want to win because I will be going to college this fall and I think the best way to really get through my courses properly with all the assignments and research is to have the HP d6 to use. And then I can use the Mini to sync both computers up as backup system because if I am going away or out of town I would use the Mini and just for general online usage. One for school and one for entertainment and more in a more portable use. Using two the two laptops-for school and home- will be me stay organized even better I can use Syncable to link synchronize both. Communicating with family and friends, being able to be in the comfort of using my own new laptop is a blessing. And finally, having the backpack to safely carry everything in it with out having to worry getting everything damage. I would love to win this bundle to free myself from the PC. The netbook would be great as traveling form site to site. The laptop would be a great powerhouse for larger work and backup. Well , last December my husband was laid off. Come February we had to make a very difficult choice. We ended up walking away from our home selling our cars and moving to another city so that my husband could go back to school full time. We have 2 children a 5 year old girl and a 14 month old boy. My husband is enrolled in a Computer Network Administrator course. He needs a computer as one of the supplies required. The money we had went to our move. I know that times have changed and computers are a requirement in most schools nowadays but what are people like us who dont have the money to just go out and buy one , who have a hard enough time trying to buy diapers and food, supposed to be able to buy one. I know that if he won it would go to good use in assisting him is finishing school and graduating next May. I’d love the bundle because I’d use it to study. I don’t have a laptop at the moment, so being able to take it to class would be amazing! 🙂 It could come in lots of handy. I need this bundle because my company laptop (not an HP and not my favorite piece of equipment anyway) is about to be turned in for good. And I’m a PTO president with two small children who writes a blog and NEEDS to get things done in whatever increments I can on the run. Using my desktop computer when the wee ones are running around outside or while I’m waiting for school to end or for the PTO meeting to start or for vision therapy to be over IS my only time. I’m drooling. My son has been homeschooled for the past six months due to some serious medical issues. This package would make his classroom work, here at home, so much easier. I’d like this bundle because 2 days after it kickstarted my laptop I have been using for the past 2 years of college died on me. Having lost everything due to the failed hard drive, it’d be nice to have my luck turn around. I would love to win this package so the entire family doesn’t have to share a single Mac! I want to win this because I’m a junkie. There, I said it. I’m addicted to the Net and with this package I can connect any time at all (except while driving of course!). My wife and I have reasonably old laptops that are starting to fail and would like to upgrade but the cost is a bit high and we don’t quite have the cash to get one with the specs that will last more than a couple of years. So if we win this, I’ll use the dv6 for a little bit of work but mostly for play (gaming, internet, etc), and my wife will use the Mini 110 for internet and email. I have the great opportunity to travel for work, though I am not paid much for it. So, replacing my current 9 lb. 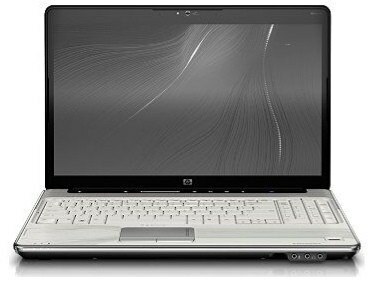 2005 model HP/Compaq laptop will be very nice. As a developer, a new notebook to program on would be great, and a netbook for demos on the go. I am a Reference Librarian in an urban library. This package would be made available for checkout by our patrons, many of whom cannot afford their own PC’s. Our PC’s are always busy with people doing job searches and writing resumes and cover letters. We always have a waiting list for access and cannot afford to buy any more machines at the same time the need keeps increasing. I work from home and my new job requires a computer with Vista. My husband is recovering from an emergency open heart surgery when one of his heart valves failed and I really need this job to pay the medical bills. My computer is old and does not have Vista so this would be so awesome. Thanks for the contest. I really need this laptop because my brother won’t let me use our PC because he’s so addicted with Aion online beta closed, so I’m going to tweet this contest and do the article writing. I’d probably win this laptop, yeeeeey! I want it because I like nice things and I would use them both every day for all my normal computery things. Plus, having a tiny netbook for those unlucky on-call days would be a huge bonus. As an engineering student, I would really take advantage of the capabilities of the dv6 to run mathematics and CAD software. The portable HP Mini would be useful in taking notes from class to class. Really, the entire package would be extremely useful, especially the syncing software. 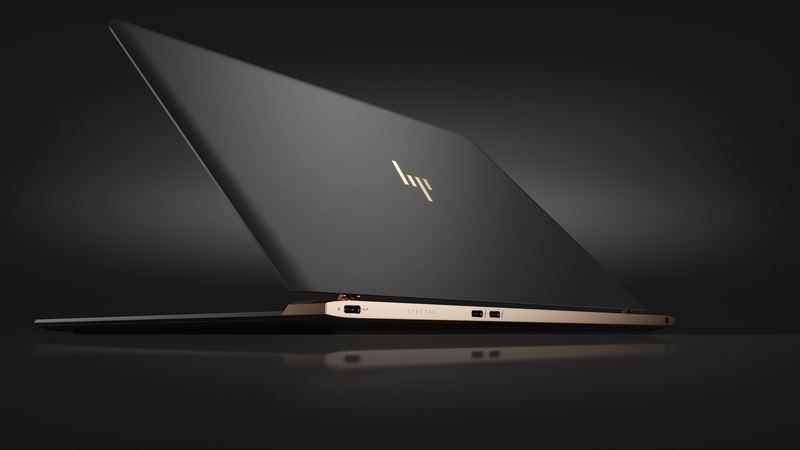 HP always makes a solid product, and I would be grateful to win this prize. I hope to win this amazing package, because I’m about to start school! I would like to win this bundle because I got a kid in college that could use this hardware. Therefore, if I win, he wins. Thank you for this opportunity. I have no chance of winning, and my luck in these sorts of things are even worse. But it’s worth a try I suppose, heh. I follow Xavier on Twitter now. Wow, thanks for making it so easy to submit multiple entries into this awesome competition! I would love to win this amazing prize because the dv6 notebook has great specifications and would be a great replacement for my inferior computer. 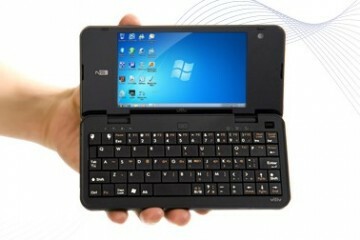 I have never owned a netbook and the Mini 110 XP Edition would be a fantastic introduction to truly mobile computing. I didn’t realise there were bags that held two computers until reading about the Timbuk2 Swig backpack, this is truly the icing on the cake of this comprehensive prize package. Please enter me into this competition and thank you for the opportunity to win with notebooks.com and HP. I want this because my laptop broke (Don’t worry, I managed to get everything important off! 🙂 ) and I need a new one, since I start college soon. 🙁 A friend of mine also needs a laptop (same reasons), so if I win, I plan on giving one to him. I would love to win this laptop! My laptop is 5 years old and on its last legs – the CD drive doesn’t work, the battery is dead, the fan clicks loudly and it isn’t able to run the virtualization software properly that is part of my IT training. I’ve never owned a laptop before – I just have a desktop, and it’s five years old. If I win, I’ll use them to finally be free to be on the internet while away from my desk! i promise to sit on my couch with the big notebook and surf the interwebs… then with the small one, i will go to places with free wifi, and surf while sipping coffee. I need this bundle as I’m student at a computer science college also my sister is. I’d love to win this as my laptop is on its last legs (and borrowed, I might add), but also because the bundle is a multimedia dream! I’m a graphics lover and writer, and always need a stable and feature-filled computer to do what I do. Thanks for offering this giveaway! I would love this bundle great to work at home and transfer between work and home with the mini. Perfect pairing I would say. If I win this bundle I’m keeping all of it! Duh! 🙂 I’m using the netbook for school and the laptop to use at home. The cable to transfer data from both. Would love to win and thanks for giving us all the opportunities. We have 5 people in our house and we all share 1 computer. It is frustrating to say the least. Thank You Very Much for Sharing this with all of us~! No, I want to win the Notebook. Hey, who better than a starving artist to win this fab package? I want to win because I really, really NEED the Notebook. I tweeted @twitter about this Rocking Giveaway~! I’d use the netbook and the backpack to give my site’s volunteer writers the ability to post local government reports right from City Hall. I’d use the notebook to retire the current laptop I’m using to run the site, which was bought refurbished nearly five years ago. That machine would also probably go to one of the writers. Following and Shot you a message on twitter. Just wanted to say I really appreciate the opportunity to win this HP Back to School Bundle. My grandchild is heading back to school….what a nice surprise! Thanks for letting us all try to win this great prize. My Son is going to college and really needs a notebook for his studies. It was tough getting through High School with out one and with college it’s going to be essential that he has one for his studies. I would love to be able to buy him one but with times as tough as they are with me being the only one working I just can’t swing the cost. I would give this to him so he could have it for college. Thanks for the opportunity to enter to win one~! I would like to win this bundle so that my youngest will have a computer he can take to class when he starts college and I can replace my hand me down laptop with the missing keys. I would love to win this bundle because I am in school right now and it would be great to have a netbook to take to class with me. It would also be good for my blog as well as having one for my husband to use for school. Well the reason why I want this prize and how I would use it are one and the same. I am about to be a freshman in college and I would really love to win this prize. Not only would it aid me in classes and make my life a lot easier, I would also like to not have to burden my parents with the pressure to get me one. I am entering a new phase in my life, a fresh start, and I would like to go into it with a new working laptop to aid me. I would love this package because my current notebook is falling apart! I want to win this bundle for my husband, who started grad school this year. One of our notebooks bit the dust hard a few months ago, so we’re down to one computer. I’m home all day looking for a job after being laid off in November, so I tie up the computer doing job-search activities pretty much all the time, exiling him to the school’s computer lab. He’s in a design- and travel-heavy field of study, too, so he needs a workhorse of a laptop. I’d like this for myself – but might give it to a family member. Maybe split it? I would like to win this bundle because my current laptop is on its last leg! It’s making that whirling noise when it starts up…I’m so afraid the hard drive it going to go! I would give the whichever computer my brother would want since he is going off to college in to weeks and I would use the backpack and other computer for school and on the go blogging. I would love to give this computer bundle to two sisters who are very poor. They live with their grandmother as their mother died when they were 6months and 4 years old. they are now in the 6th and 9th grade. There grandmother does not own a car and is in a wheel chair. They have never even had the opportunity to go to the movies due to povery. They sleep on the floor in their house. I am working on getting them beds. Last week my secretary took them to an ice cream shop for the first time. Could you imagine what a difference a computer would make in their lives. Inspite of the povery they live in the 6th grader is an honor role student. I’m looking to replace a three year old Dell laptop. I need a laptop that will allow me to do more programming work for my job and grad school. I want to win to give the prize to my boyfriend who is starting grad school! My laptop is getting old and I need something to play good games on and take to uni. I would love to win this pack, it would make my year big time!! I would use the laptop as an upgrade for me and give my son my current laptop. The Netbook would really help out while I’m away from home! I’d love to win this bundle. My desktop is 7-8 years old and is nothing but trouble 🙂 I’m a realtor, student and blogger. This would be perfect for all my needs. I’m following you on Twitter too and sent you a message. I’m dragonfly777 Thanks! This bundle would be great for a number of reasons. First, I don’t have my own laptop. I only have an older work one, and its hard to surf the web when the firewall keeps you out. Second, my honey has been dying for a netbook. 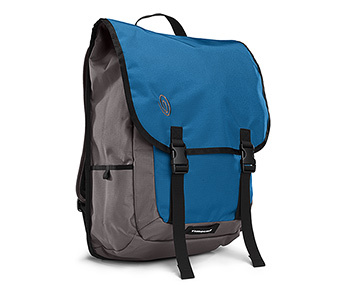 Third, I just love Timbuk2â€™s bags. Starting my own business. Would help tremendously while on the road. Netbook would live in the lounge, for browsing when I was too lazy to head to the other end of the house. Notebook would be used by my gf, whose current laptop I refuse to touch because it’s so horribly old and slow – so bad she’s taken to using my desktop! I want the 16″ to watch the t.v. online. I’d probably get some studying and school work in too but that thing sounds awesome!!! i want free computers. i’d probably give the laptop and bag to my brother and keep the netbook. My current laptop has zero battery power and isn’t powerful enough to be a desktop, even thought that’s pretty much all it is because of the battery. A new laptop would allow me to work on my degree from a library, coffee shop, etc. Definitely would be great to win one! I would love to win this laptop, because it would help me considerably with my homework from school, and it would be more portable than my desktop computer. So, I would use the laptop more for mobile uses. We’re a one-computer household, so hubby and I squabble a bit over whose turn it is. 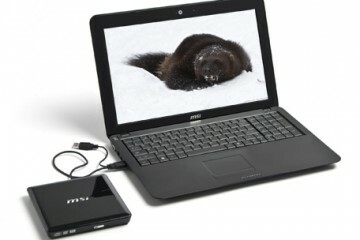 I would use the laptop for writing and graphic design, and I would use the netbook for surfing the web. I love the idea of having a computer I can take shopping with me, because I hate buying anything without comparing prices, and this would make it so much easier! I am so excited about going back to school after 20 years ,I definitely could I use a new laptop. The laptop would allow everyone else in my family to use the computer for a change 😛 and the netbook would be great for school – not to mention internet on the move, or mobile blogging. Besides acquiring some bragging rights because of its WOW! factor, winning would enable me to blog more. In any case, getting hold of this baby any other way, would be almost impossible. I’d love to win this bundle, my oldest son is going off to college next week and my 12 year old has been begging for a netbook. I would please them both if I win! Plus it would make me happy too! I’d love to be the winner of this bundle because this will greatly benefit me in studies. Having a lighter netbook for mobility and a powerful laptop for home entertainment is a great way to cover all the needs of a UNI student. Ok this will be my 3rd entry and 3 times is a charm right? I would give my friend the netbook and my daughter and I would share the notebook. We have 5 people in my home who all share one computer so that’s why I would love the notebook and my friend could use netbook for her and her kids because they have none..Thanks for the chances!!!!!!!! Its just what the doctor prescribed for this Pharma student for his college work!! I would love to get this pack. It would be of great help if i get the pack, as my classes have begun. I would love to have this for my son. He’s going into computer networking and could really use a great computer to start out with. I’m a college student who doesn’t own a laptop. It would be really useful so that I won’t have to wait at the campus’ library to use a computer. The netbook I would give to my niece who is a Junior in high school. Half way through a computer engineering degree in software engineering without a laptop. A laptop will make things a lot easier! I would love to win this bundle because this will greatly benefit me in my script writing. It’s gonna be a comedy and it’s gonna be big. I don’t own a notebook right now, and this would be awesome if I can get it. Oh! BTW.. I will use this practicing my web designing. Two at College and Two starting University.How our household could work’better together’ with the help from HP,Microsoft and Timbuk2 would be gratefully appreciated. Your package would keep us up with the changing of modern technology and sure make life easier in the ‘fast’ lane. Right now we are using borrowed equipment from the school in order to homeschool our 2 children (they’re ahead a grade, and doing very well). It would be really nice to reward my oldest with his own notebook for all his hard work! I would love to get this pack.. isnt tht d reason enough for me to hav it??? Instead of thinking of my paused Games i can play on d go..
Stay connected to All my frens & family..
to be d 1st to tweet such give aways…. I need something light and long battery life to carry around. Would love to win the netbook. Love it! I’m A COLLEGE SOPHMORE SO I WOULD LOVE TO WIN THIS BUNDLE TO DO MY HOMEWORK ON. I am currently running with two dinosaurs. A five year old+ desktop and a seven year+ laptop. So I would be using this pack to ditch the desktop and the laptop and be happy as all get out! I am most interested in the advantages having a netbook would bring. Being able to slip it into a bag and carry it anywhere would be awesome. Thanks! WOW great contest. I would love to get this. I have two daughters and only one laptop. Boy does that get the blood pumping around here. I have to play time sherrif (uggg and it leaves me with mid-night till 5am shift–can you say coffee!). I would give the netbook to my daughter, who does not have her own computer. I would keep the laptopfor general use around the house. 4 a home 4 Filmmaking, promotion and communication. Will B homeless in the near future, but 4 me home is where I can create film, tell stories, b an advocate against technology abuse. My laptop is seven years old and is getting tired. I regularly use a laptop while traveling and the netbook would be a convenient-to-use bonus. I would love to win this. I’d keep the laptop for myself & give the netbook to my son who doesn’t have his own computer; he has to share mie. Thanks! My son will be going to college in a year. It would be wonderful to be able to give him the gift of this bundle!! I would love to win this as my laptop is having major problems. I would keep the laptop as a replacement for mine and we would all share the netbook as it is fun and convenient. We could just take it in the car with us to stay connected. Thank you! I don’t have the fiscal fitness to upgrade from the P3 pc that my brother gave me.The display needs spanking from time to time to stop the rolling and the spares are not simply available.So I need the stuff. I shall giveaway the netbook to my sister who is a media professional and needs a lighter pc to lug around. I would love this laptop to give to my son who is in a six year Pharmacy program. His old one is on it’s last leg. I would love this laptop to use it for my constant computer use! This bundle would be so helpful. I only have a desk top.First, I’m a guitar instructor and could load all my lesson files and tunes on the laptop and it would be easily portable and easy for students to view. 2nd, I could load my art files to share with galleries. thanks!!! I would love to win this bundle because I am currently getting into blogging and web design and this would help my endeavor. I tweeted, am following on twitter and subscribed as well. At the moment, I’m sharing a laptop because I can’t really afford to buy one right now. I would really love to have one of my own so that I can get my work done on my own schedule. It would help so much. Thanks for the chance to win! I would give this to my High School Sophomore so that she would leave my laptop alone! After seeing a bunch of netbooks and similar other machines while attending the BlogHer conference last month, I knew I needed to have one of those cute and portable little things for ready-to-go blogging/tweeting. I would probably give the notebook to my mom or one of my brothers, since their current PCs are considerably older than the one I’m currently using at home.